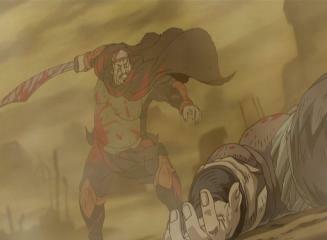 Kenshiro arrives back in Last Land, and is the only one who can stop Seiji. 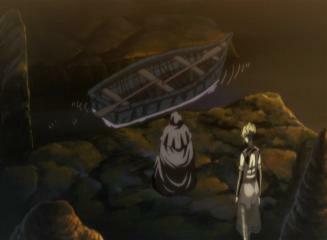 Ken arrives back in Last Land and gives Tobi the medicine for Bista. 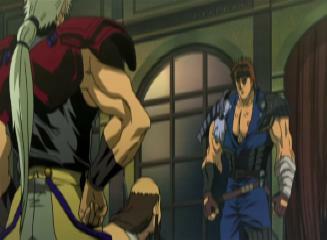 Tobi talks about how Seiji arrived, but then traps Kenshiro in a room, saying that he would object to what he is about to do. He tells Ken that he is God's brother and will act as his mouthpiece. They will stay here in Last Land and together, and they will create a new country which they will rule. These people will gladly sacrifice their own lives for their God, and he has learnt that power and control is obtained through spilt blood. 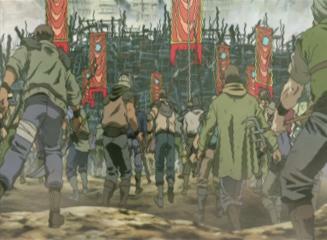 Tobi sends out many villagers against Seiji's forces, who initially push back the enemy. 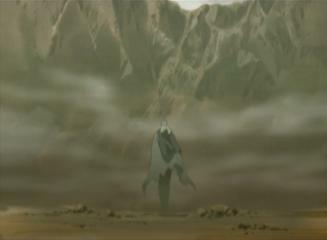 However, as a sand storm starts, Seiji and Ches head out to counter attack, slaughtering many people. 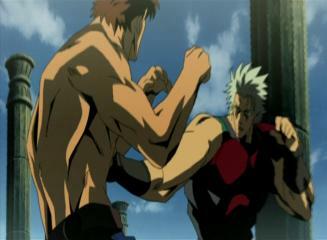 Seiji is soon face to face with Tobi, and has Ches beat him up. 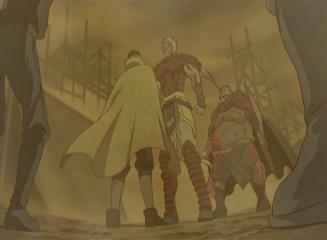 The all go back to where Doha/Bista is, and Ches is about to kill the false God when Tobi begs them to stop. He says Bista could still act as a God and they should let him live. If they have to kill anyone, they can kill him instead. Seiji agrees to this trade and is about to strike Tobi when he realises that he isn't afraid of death. The look Tobi has in his eyes makes Seiji think back to the time he was attacked by a wolf. The look in the mother dog's eyes is the same as Tobi's stare now and it sends him into a rage. People protect their loved ones, but not in his case. All he can think about is the time his own father dropped him down a canyon. He punches the ground in frustration but then tells Ches to take Doha back to the palace and to treat him well. Ches does this, but not before slicing into Tobi with his swords. Meanwhile, Sara has returned to the cave where an old woman appears. 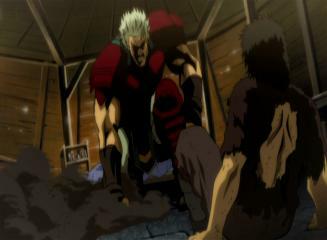 She says that Kenshiro is already here, but Sara must go and help him. She says her name is Yura and that she wanders around the palace, almost like a ghost. She reveals a small boat for Sara to use and tells her to get going. Sara asks why she is helping and Yura just tells her she knows sadness better than anyone else. 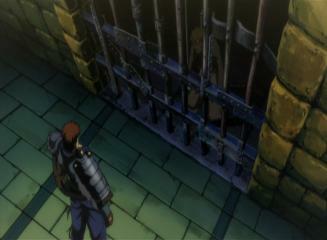 Meanwhile, Kenshiro tries to break down the gate, but his kicks don't even dent it. Sara appears on the other side of the gate. She takes Ken's hand and then her own palms pulsate with a white glow. 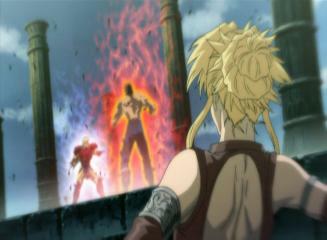 The gate begins to shake and then Kenshiro shatters it completely. 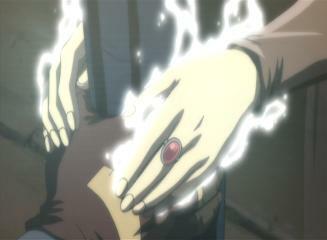 Sara's father taught her this technique, known as Hakki Meishin Ha (White Aura Shockwave). Ken can now get out, but before he does he sees Sara drop to the ground. She seems OK though and tells him not to worry about her, he needs to go and confront Seiji and Tobi. 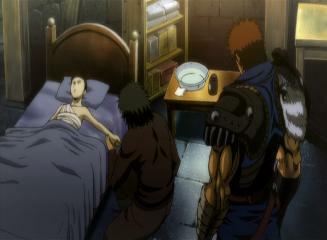 Kenshiro finds Tobi, but he is heavily injured, so much so that he soon dies, after telling Kenshiro that his dream is over and that Sara and Bista are in Seiji's clutches. 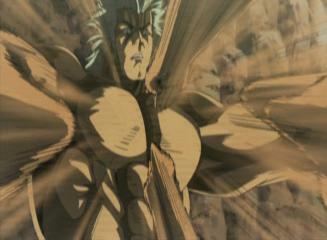 ...Kenshiro is the stronger of the two, and he batters Seiji with the Hokuto Hyakuretsu Ken (North Star 100 Crack Fist) technique. 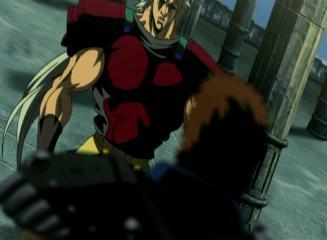 Kenshiro tells him that having ambition does not raise your skill level. But a man who carries sorrow within him can become more powerful. Ken says that he has once again lost a friend: Tobi. Does he understand now? Sara runs across and begs Ken to stop and not kill him. Seiji says that he doesn't need her pity, but she says it isn't pity. He says that he has brought shame to her, but she explains that she is the girl he saved a long time a go and it was because of her that he has a scar on his neck. Yura then appears and also asks Ken not to kill Seiji. She reveals to everyone that she is Seiji's aunt and that he was always a good boy in his youth. She explains that long a go, Sanga did love his son. When Sanga threw his son of a cliff, he did it to test him, he wanted him to climb out and surpass him. Back in the present, Seiji suddenly strikes himself before anyone can stop him. He says that he has just stopped his own blood flow and that this is a peaceful way of killing yourself. He asks Ken if his father was strong and Ken tells him that he was. 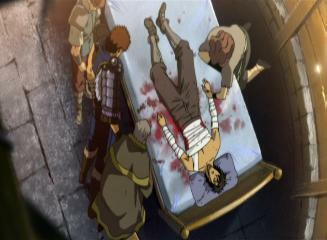 In fact, he was still stronger than Seiji. Seiji understands and says that he looks forward to seeing his father again. He then finally passes away. 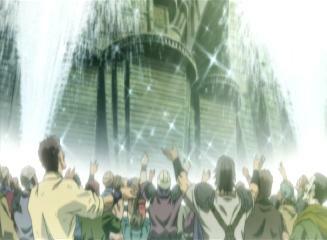 Later on, the water is available to the villagers and Sara tells everyone it is for them all. She also says that she isn't a God. Later on, a small grave has been made for Tobi and Sara tells the now healed Bista that his brother was very brave. 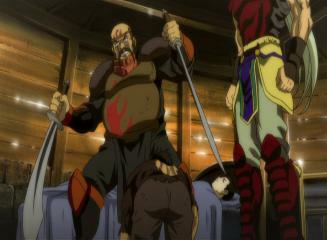 He had to fight Sanga and Seiji in order to protect him. Sara asks if Kenshiro will stay here with them, but he refuses. Wherever he goes, chaos follows, and he doesn't want to put them in danger. 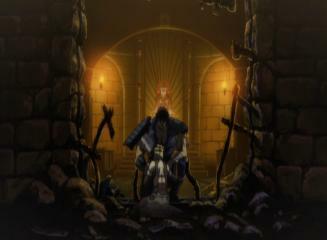 Kenshiro starts to walk away from Last Land. As Sara watches him depart, Bista says that his brother is watching him from heaven. Kenshiro continues to walk. 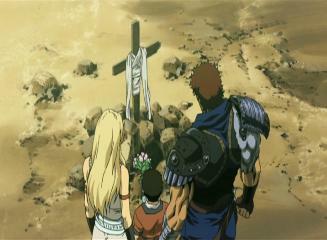 "Ryu...One day we will meet again. And when we do, it will be a true battle to become the master of Hokuto Shinken. Until then my journey as the successor to Hokuto Shinken will continue..."
-So Kenshiro, the man who beat the likes of Souther, Raoh and Kaioh, cannot kick down a simple metal gate?